I bought my first ever albums in there one day in 1980: The Beatles – 1962–1966. Which was great. And Zenyatta Mondatta by the Police. Which was rubbish. Deadly! The Beatles lp perfect for this photo as well. 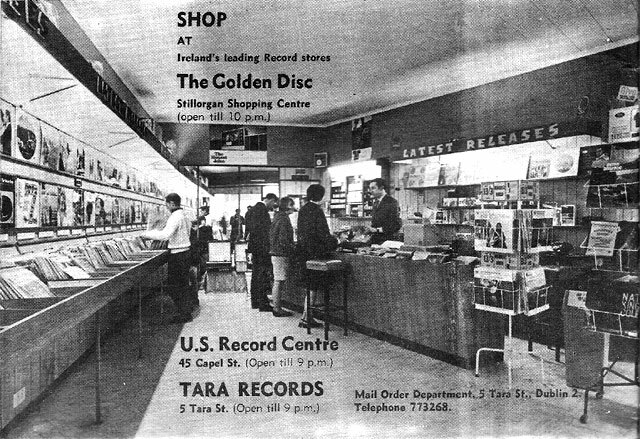 I loved US records in Capel Street – they were so knowledgeable about their music. I bought The Allman Brothers Fillmore album there and Truth by Jeff Beck, among many others. Terrific shop.